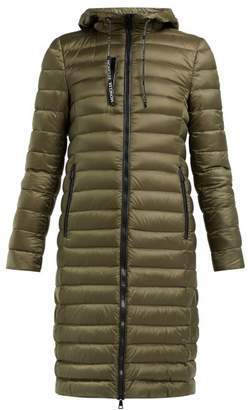 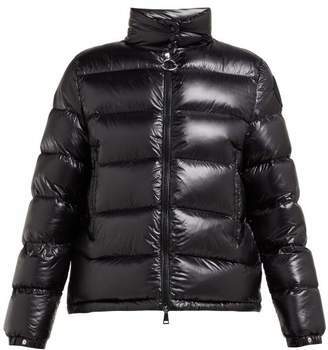 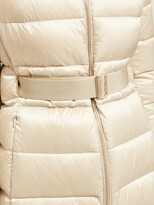 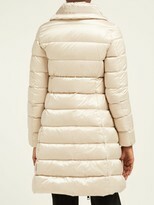 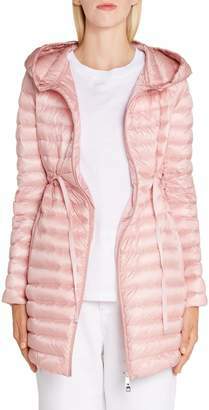 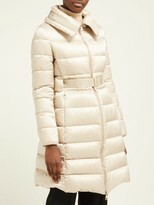 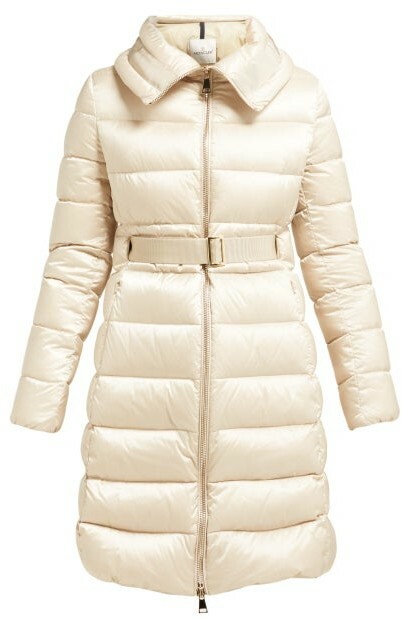 Moncler - Designed for high-altitude warmth and sleek city appeal, Moncler's cream Bergeronette jacket is crafted from down-filled quilted satin. 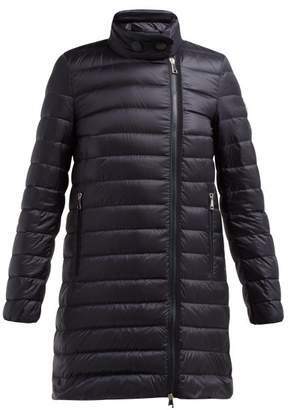 The streamlined design can be cinched in at the waist with the buckled belt, and a funnel neck ensures additional protection when wind chill is strong. 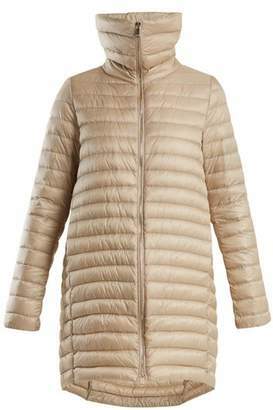 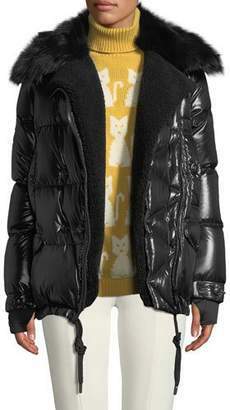 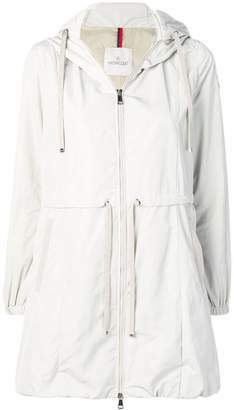 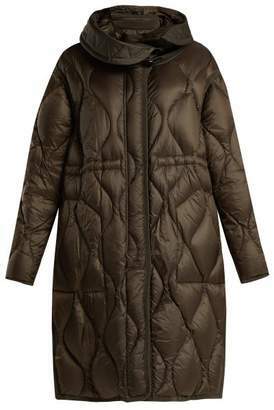 Layer it over a weekend edit for robust insulation.